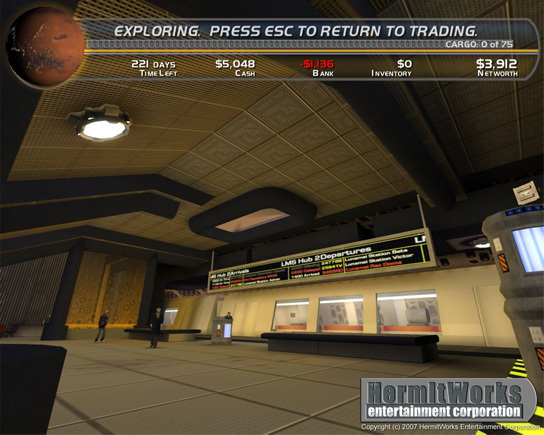 Montreal– August 16, 2008 – Meridian4 is pleased to announce that they have signed a publishing agreement with Hermitworks Entertainment Corporation of Grande Prairie, Alberta for their unique, habit-forming Action-Trading game; Space Trader. “We’re really excited to be working with Meridian4. They share our vision in offering players a unique game play experience. We’ve changed the rules of traditional action games to challenge both new and veteran players and Meridian4 supports us in this.” said Cameron Tofer, President and Co-Founder of Hermitworks Entertainment. Leading video game developer BioWare™, a division of Electronic Arts Inc. ( NASDAQ: ERTS ), has announced that “Bring Down the Sky,” the first piece of downloadable content for the award-winning space epic Mass Effect™, is now available for owners of the PC game version to download free of charge. Fully optimized for the PC, “Bring Down the Sky” is the first in a series of planned downloadable content that will further expand the Mass Effect story and universe. It includes a new uncharted world that introduces the deadly Batarian alien race, approximately 90 minutes of new gameplay and an original soundtrack. Instructions on how to download and install the new content are available on the Mass Effect downloadable content page. “Bring Down the Sky” is currently available for international languages including English, Spanish, Italian and German, with additional language versions coming soon.